On United Nations International Day of Sport for Peace and Development on April 6, we couldn’t have agreed with Mr. Lemke more. According to the “UNAIDS Report on the Global AIDS Epidemic” of 2010, Belize has the highest HIV prevalence in Central America, with more than 4,800 people living with HIV (PLWHIV). That’s roughly 2.1% of the adult population. AIDS is the leading cause of death among people ages 15-49. GOBelize is a youth-led NGO created by graduates of the GOJoven program. GOBelize aims to meet the rising need for sexual and reproductive health SRH education in Belize, including the prevention of HIV. Some school-based SRH programs exist, but with the rising numbers of PLWHIV, GOBelize wondered: how can we motivate out-of-school youth to attend HIV prevention trainings? 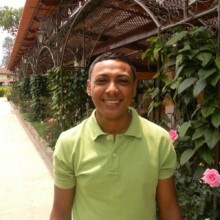 Many out-of-school youth in Belize work as laborers or field hands in the agricultural sector. GOBelize quickly realized that getting these young people to miss two days of work and wages to attend a 2-day training on HIV-prevention was close to impossible. The only thing they’ll miss work for? Soccer. With this knowledge, GOBelize engaged local soccer team captains to motivate youth to attend the trainings. After GOBelize offered team captains a capacity-building session on the importance of education and training to address the spread of HIV, the captains decided that participation in the HIV-prevention trainings would be required in order to play in the next soccer game. It worked! Close to 1,200 out-of-school-youth received comprehensive sexual and reproductive health training through GOBelize. Since 2004, GOJoven fellows in Belize have reached more than 4,000 adolescents and youth with sexual and reproductive health education and training. Help them continue to do this work by visiting their Spotlight Page and making a contribution to the program today!